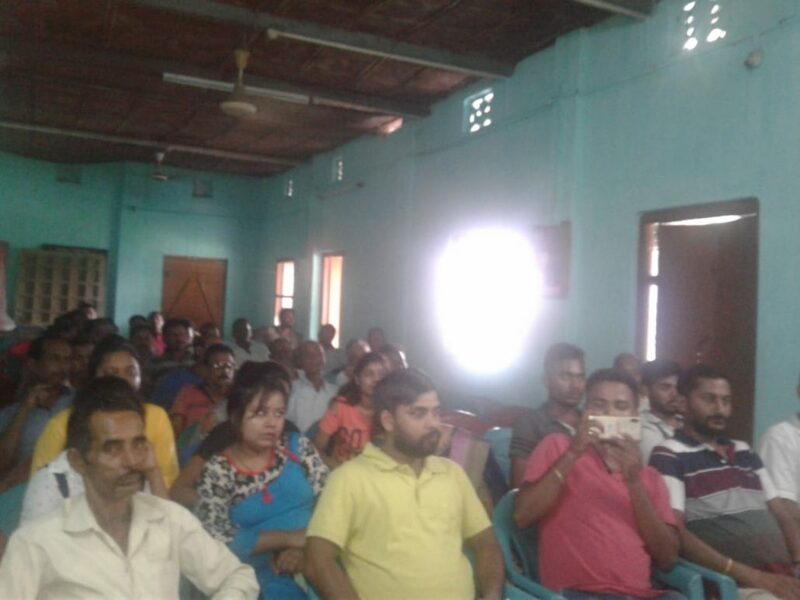 With a view on the upcoming publication of the final draft of the National Register of Citizens (NRC) and D voter issue, the Fakiragram Anchalik committe of the All BTC Bengali Youth Students Federation organized a meeting on Thursday at Fakiragram employees’ union premises. The meeting was presided over by Prabir Sanyal, renowned social activist. The students’ body appealed to all sections of the society not to panic regarding upcoming publication of final draft of NRC. At the same time they also criticized the role of the State Government relating to ‘D voter’ issue saying that all though having legal documents prior to 1966, the ill fated Bengali speaking people are being harrased both mentally and physically. Mantu Dey, president of the central committee in his speech appealed the general masses to keep vigil on any untoward incident. Bikash Debnath, president of Kokrajhar district unit of ABBYSF and many other representatives of several organizations were present. Many intellectuals, educationists and noted civilians were present at the meeting. The vote of thanks was proposed by Gourab Sarkar, president of ABBYSF, Fakiragram Anchalik Committe. This was stated in a press release issued by Arabinda Seal, the working president of Kokrajhar district committe of ABBYSF.